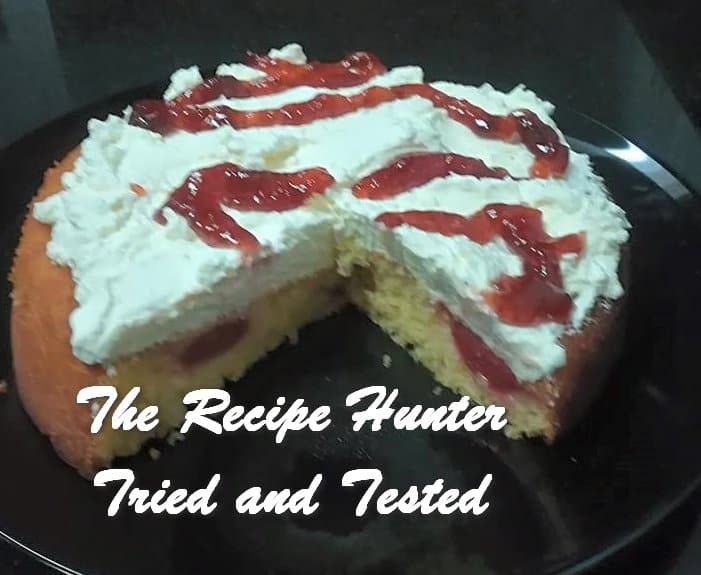 Light sponge cake with whipped cream and strawberry jam gives it an elegant look, perfect for high tea. Cream butter and sugar, add vanilla then 1 egg at a time, beating well after each addition, add flour a little at a time, fold in, add milk, fold in. Drop batter into a well-greased 20cm cake tin. Bake at 190C for 20 min, cool well in tin before turning, dollop over cake and drizzle with strawberry jam. Thanks dear – please try it and hope you will enjoy it.